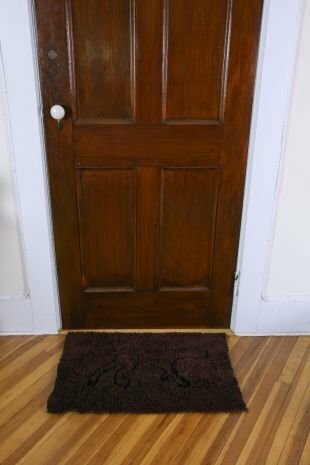 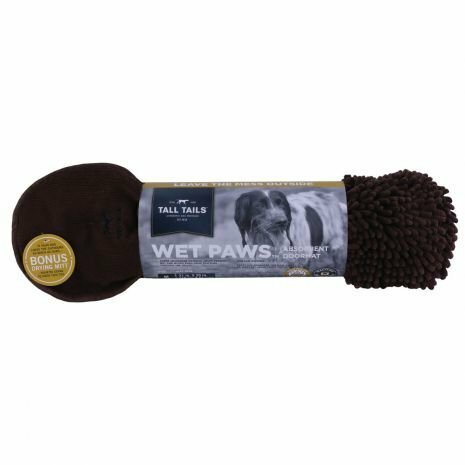 Prevent dirty paws and messy mutts from tracking mud all over the house with the Tall Tails Wet Paws Absorbent Door Mat. 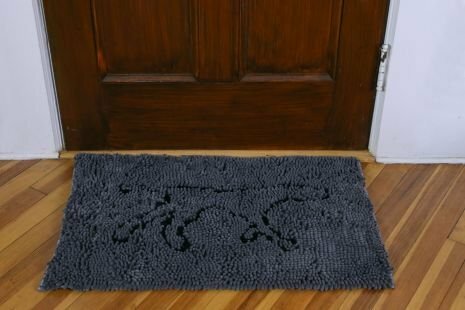 This handy mat features non-slip backing & super absorbent top to make sure our furry friends leave their mess at the door. 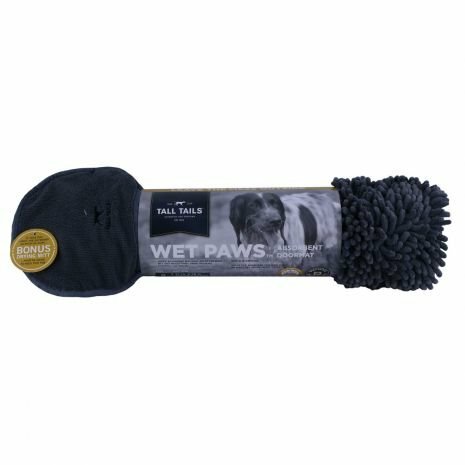 Line your backdoor, front door, crate, car, or any living space/resting spot that has to deal with our muddy & wet furry friends. 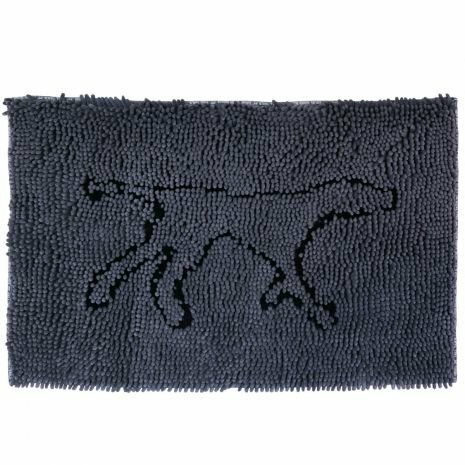 Each mat features our iconic dog logo in black pipping surrounded by dark shades of charcoal or brown. 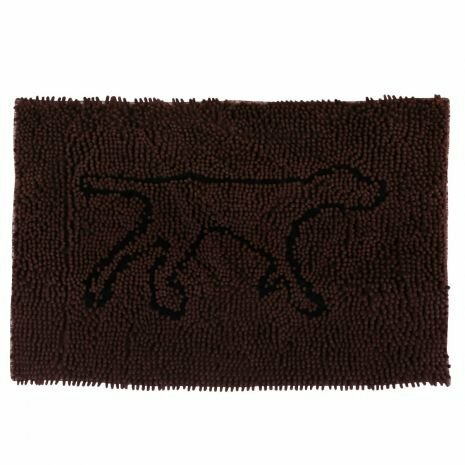 Clean up is simple, shake the mat outside or throw into the washing machine, our mats are machine washable & dry-able. 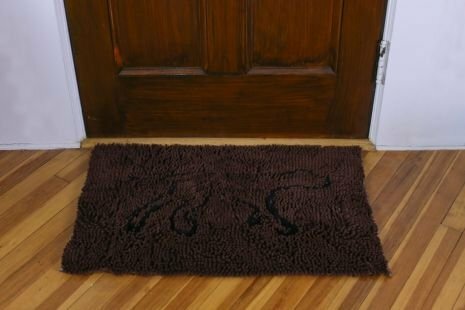 As we all know a few minutes in the outdoors can leave any dog messy and muddy, but this absorbent mat can help leave the mess at the door instead of all over the house. 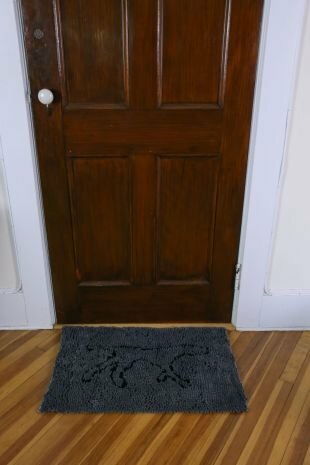 Medium doormat measuring 31" x 20"
Large doormat measuring 35" x 26"